In December 2017 the One Water One Watershed (OWOW) Pillar Integration Meeting focused on the challenges and opportunities of sediment management in the watershed. 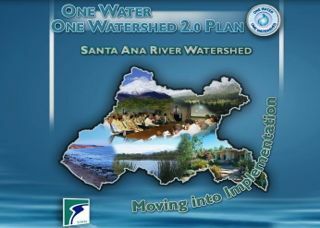 This focus was requested by the stakeholders of the OWOW Plan Update 2018 process after the issue surfaced during multiple meetings about the high-priority needs within the watershed. It was felt by the group that projects which work to manage sediment could provide multiple benefits related to water supply, water quality, flood protection, habitat quality and others. Three speakers accepted invitations to make brief presentations and then support dialog with the stakeholders. SAWPA, on behalf of the stakeholders, thanks Sterling Klippel from the Los Angeles County Flood Control District, Erica Kemp Weitzman from the US Army Corps of Engineers, and Lindsay Teunis from ICF for their contributions to the day. Below are links to the slides each speaker used during their talk, posted with their permission.